We are a professional dance company in the South East of England that operate around Sussex and Surrey, With classes across Gatwick, Horsham, Crawley and East Grinstead we are always on the look out for exciting and inspiring teachers, choreographers, workshop and masterclass leaders. We provide young dancers with high end training and development in dance. We are now looking for new Teachers and Choreographers to join our exciting team and help push our students to their full potential. 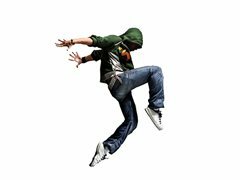 We are looking for exciting and innovative Street Dance, Hip Hop or Commercial dance teachers & choreographers for regular and weekly teaching and cover work in West Sussex and Surrey. Applicants must hold an up to date dbs certificate and also have experience in teaching all ages and levels. The ideal candidate should be professionally trained or have worked in the industry as a professional dancer. Having a huge passion for creating and inspiring young student is a must.